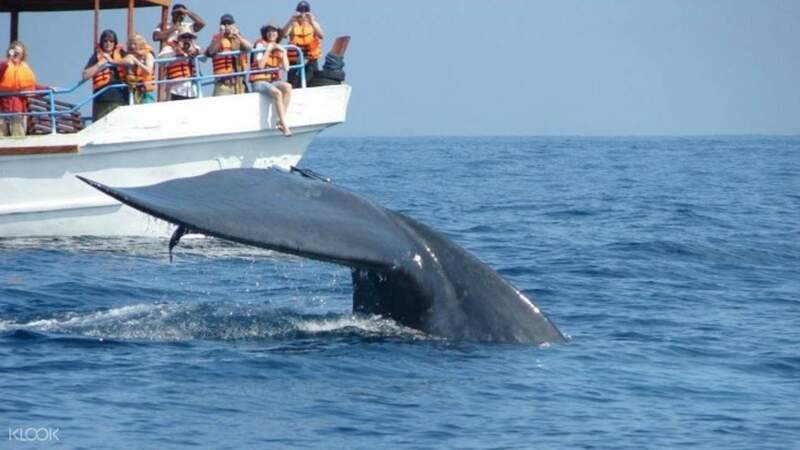 Go whale watching in Mirissa for a memorable and ethical experience! Guide was good and we saw quite a few whales and some dolphins that day. There was not anyone holding up the Klook sign, but I was informed in advance over whatsapp and had all my inquiries answered. Good service. Mirissa is famous for its sands and waves, but there's far more beneath the surface: an incredible array of sea mammals can be found off its coast. Join a whale and dolphin watching boat in seeking out some of the species that frequent Sri Lanka's waters and watch them swim and play in their natural habitat. 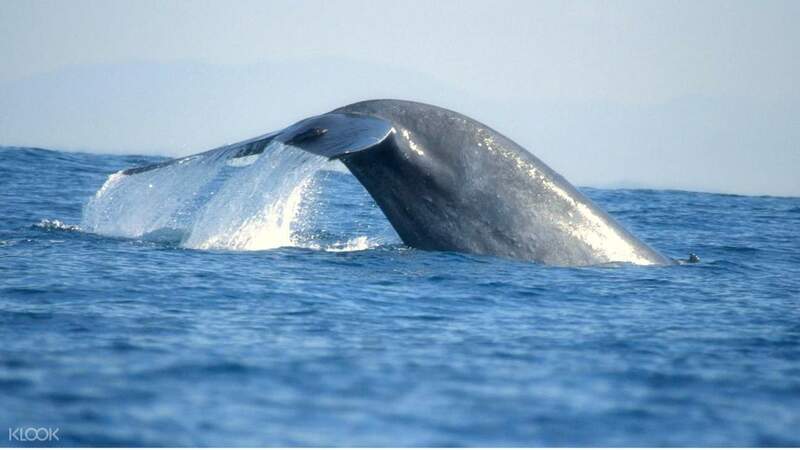 Out in the waters, you might be able to spot the largest animal in the world: the blue whale. You may also see massive Bryde's whales, long sperm whales with their calves, spearlike Fin whales, and the intimidating Orca, or killer whales. The experience is a purely responsible one: you will not be disturbing the whales in their habitat and simply watch their pods swim along. 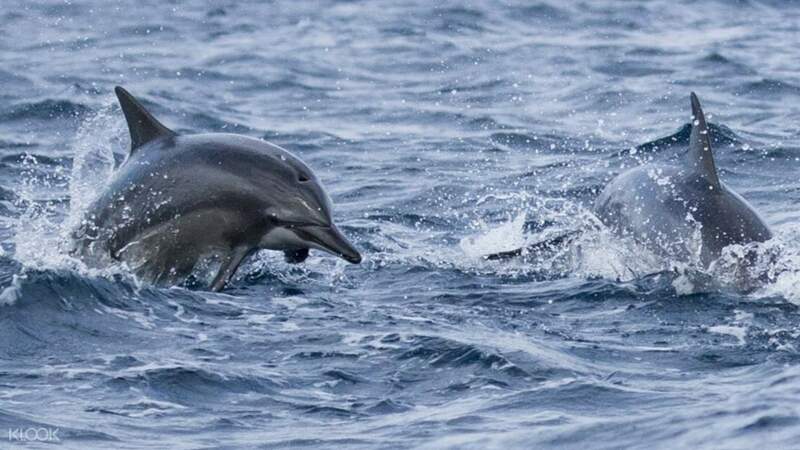 This goes the same for the dolphins (among them common, bottlenose, spinner, striped, and Risso's dolphins) who will be playing and leaping from the water as they play in the bow waves. It's an unforgettable experience and a must-see for children! Sail over the waters of Mirissa to watch the biggest mammals in the world as they swim! Numerous species of whales and dolphins swim in Sri Lankan waters; try to see as many as you can! Spotted several whales, dolphins and even some sea turtles. The crew is extremely friendly and will help you out. Pills are provided by them to prevent sea sickness. The food provided on board is simple and wholesome. Must try experience. Spotted several whales, dolphins and even some sea turtles. The crew is extremely friendly and will help you out. Pills are provided by them to prevent sea sickness. The food provided on board is simple and wholesome. Must try experience. Great tour with Geeth. We saw many blue whales and countless dolphins. The crew was very motivated to provide the best experience but respected the natural habitat of the animals at the same time. Breakfast was better than expected. Great tour with Geeth. We saw many blue whales and countless dolphins. The crew was very motivated to provide the best experience but respected the natural habitat of the animals at the same time. Breakfast was better than expected. Fun activity, managed to spot blue whales and dolphins. Overall comfortable boat ride. Fun activity, managed to spot blue whales and dolphins. Overall comfortable boat ride. Guide was good and we saw quite a few whales and some dolphins that day. There was not anyone holding up the Klook sign, but I was informed in advance over whatsapp and had all my inquiries answered. Good service. Guide was good and we saw quite a few whales and some dolphins that day. There was not anyone holding up the Klook sign, but I was informed in advance over whatsapp and had all my inquiries answered. Good service. Saw dolphins and orcas. Trip was a bit long since we couldn't spot whales initially, but the crew did not give up until we saw something. Saw dolphins and orcas. Trip was a bit long since we couldn't spot whales initially, but the crew did not give up until we saw something. Spotted the whale. The Crew and the team searched for the whale to show up for us. Worth for the money. Whale watching with Geeth was very good. Spotted the whale. The Crew and the team searched for the whale to show up for us. Worth for the money. Whale watching with Geeth was very good.